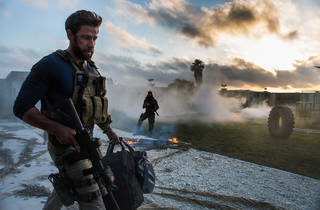 Finally, the director we’ve all been waiting for, Michael Bay (‘Transformers’), weighs in on the most complex and controversial episode of American military history in recent years: the attack on the US diplomatic compound in Benghazi, Libya, in 2012. In fact, Bay hasn’t done that bad a job. He still loves his American flags, and he’ll always be on shaky ground when a movie’s plot basically turns on a bunch of heavily armed bros stranded in a parking lot, waiting for a rescue go-ahead that comes minutes too late. 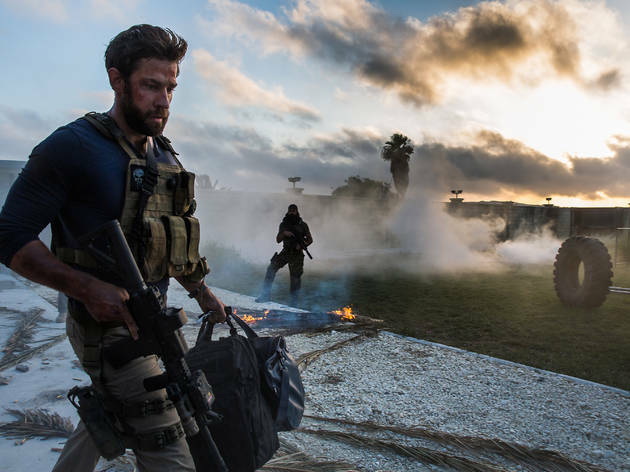 But when ‘13 Hours’ turns into the two-hour action symphony it can barely wait to become – a harrowing stretch of shadowy aggressors charging the walls of a compound, bullets pinging off metal, spent ammo casings showering cement underfoot, endless carnage – Bay is in his element. This is some of the most concentrated work he has ever done, dropping his customary slo-mo (and some visual coherence) to create a fully intentional chaos that’s as fitting to Benghazi’s Alamo-like standoff as Steven Spielberg’s was to the Normandy landings. There’s little political commentary here. No actor is cast as Hillary Clinton; nobody questions the selfless heroism of the soldiers involved; and US ambassador John Christopher Stevens, who died in the attack, deserves a more honourable tribute. Chuck Hogan’s screenplay has a hard time carving out distinctive characters from all the bearded warriors – a slimy, indecisive CIA chief (David Costabile) makes the deepest impression. The final word on this incident will require a more thoughtful filmmaker. But hopefully that artist will possess at least half of Michael Bay’s punishing, peerless craft. Another American ‘war’ film based on true events. Full of adrenaline and action packed, to the point that you will be left glue to the screen. Action packed and non-stop drama throughout. However, it feels a bit over the top and insensitive considering the controversial subject matter. Lots of shouting and explosives... not a far cry from the Transformers movies really!! Not a bad movie, just not sure how realistic it is!